• Prayer beings by focusing on God. He relates to us as the very best Father; in heaven but not aloof. He knows us better than our best friend and wants us to talk to Him without pretense. He is Father of all believers; although He loves us as individuals, the relationship between Him and all His people is super special. • Hallowed means holy. God is holy, far superior to everything else in creation. 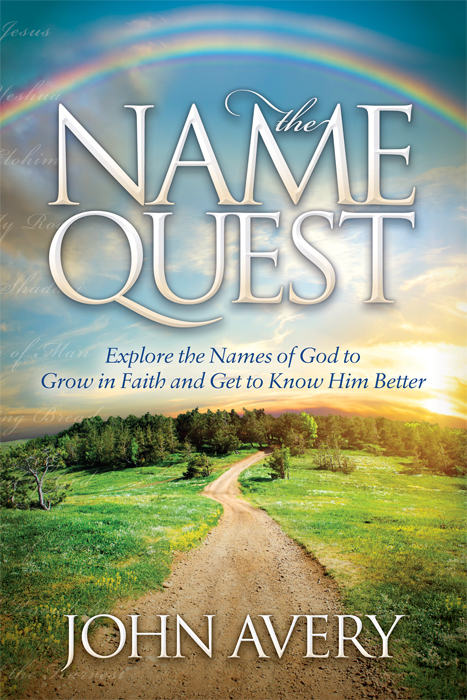 God’s “name” represents the sum of His being. Hallowing His name means treating Him with that honor. We are to pray that others will treat Him the same way. • God is a king, ruling a kingdom where everything is done exactly as He desires—that is the very best for all people. Not everyone has accepted His rule, so we are to pray that they will. • Our “daily bread” includes everything we require for our present life. God cares about the tiny details, the everyday essentials (like money, food, clothing, shelter, transport), as well as our bigger needs (guidance for career, marriage and a life purpose). He loves it when we trust Him and feel close enough to Him to ask. • Everyone needs forgiveness because we all fail God and each other. The word “debts” includes all our failures and sins. A few verses later, Jesus promises that when we forgive others who “owe us,” it frees us to receive God’s forgiveness. This entry was posted in Introducing Devotions on January 21, 2013 by John Avery. You are right! Either way we are found lacking. Because sin beigns the moment we attempt to become autonomous as if we could live apart from God, the very founding of our being. Moreover, people really need each other. The world over, people gather for protection and meaning. We all need to belong. Even atheist need to gather in an attempt to survive. So, we need each other and we need God, but what about the church? Some of my relatives hang out at the church occasionally, on Christmas and Easter. They sometimes ask me, Must I belong to a church to be a Christian? I ask, Why did you marry your spouse? Why don’t you simply cohabitate? With near offense they reply, We need the commitment. My next question, Why would it be any different with the church? If you live in the inner city and you’re under twenty-five, you join a gang. Why? Because that is the only way to stay alive. To survive on the streets of any major city, you’ve got to have someone to watch your back. Now that is what the church is really all about having someone who knows you by name to watch your back by being there when you need him and praying for you every day, by name.Faith is not only an individual affair, it is a community affair. Watch what can happen when people come together in worship. Vital community is what the church is all about. No wonder the writer of Hebrews exhorts: “Let us not give up meeting together, as some are in the habit of doing, but let us encourage one another – and all the more as you see the Day approaching” (Heb 10:25). The church needs to step up and show real people there is a real God. For the church will attract the lost to the precise degree that it models community. And why not, people thrive only in community. Yes, our relationship with God has to include others who are in relationship with Him. Only then can it be authentic and an example to the world around.